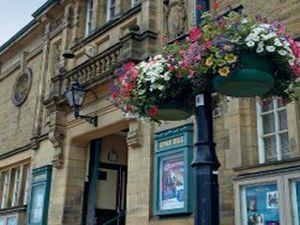 Kings Hall and Winter Gardens01943 436224 work TheatreThe Kings Hall & Winter Garden is a central venue in the elegant spa town of Ilkley which comprises of a traditional Victorian theatre and adjacent glass-roofed spa hall. The Kings Hall theatre is superbly suited to theatrical and musical events and is also licensed for civil wedding ceremonies. The Winter Garden is an exceptional setting for receptions, social functions and exhibitions and is equipped with kitchen and bar facilities. There is level access to the ground floor only.